Organic Synthesis Using Biocatalysis provides a concise background on the application of biocatalysis for the synthesis of organic compounds, including the important biocatalytic reactions and application of biocatalysis for the synthesis of organic compounds in pharmaceutical and non-pharmaceutical areas. The book provides recipes for carrying out various biocatalytic reactions, helping both newcomers and non-experts use these methodologies. 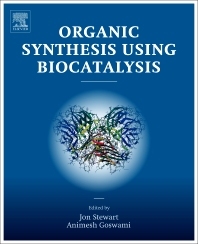 It is written by experts in their fields, and provides both a current status and future prospects of biocatalysis in the synthesis of organic molecules. Designed for postgraduates in chemistry or chemical engineering and industry professionals who need to understand the use of enzymes to perform synthetic organic transformations. Dr. Animesh Goswami has more than 25 years of industrial experience and is an expert in the industrial application of biocatalysis for the synthesis of organic compounds. He joined Bristol-Myers Squibb in 1998 and is currently a research fellow leading the Biocatalysis group of Chemical Development department. Before joining Bristol-Myers Squibb, he worked in research and development of Rhone-Poulenc in USA for eleven years. 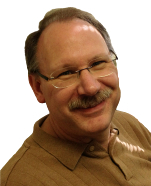 He is author/co-author of forty five publications and fifteen patents and patent applications. He has published extensively and has given numerous invited lecturers in national and international meetings in the area of biocatalysis. 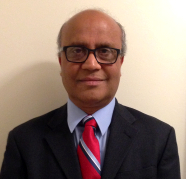 Dr. Goswami earned his Ph.D from the University of North Bengal in India and has conducted post-doctoral studies at Arizona State University and University of Iowa in USA. He is a member of the American Chemical Society and the Society for Industrial Microbiology and Biotechnology. Dr. Jon D. Stewart has led his academic research group at the University of Florida since joining the department in 1994 as an Assistant Professor. He was promoted to Professor of Chemistry in 2006 and also has affiliate appointments in the Departments of Biochemistry & Molecular Biology and Biomedical Engineering. His research has included a number of topics in biocatalysis including Baeyer-Villiger monooxygenases, nicotinamide-dependent carbonyl reductases with a current emphasis on alkene reductases. He has authored or co-authored 100 research publications and has given numerous invited lectures at meetings and companies. He has served as an editor for the Journal of Molecular Catalysis B: Enzymatic since 2003. Dr. Stewart earned B.S. and M.S. degrees from Bucknell University, his Ph.D. from Cornell University and was a Helen Hay Whitney Postdoctoral Fellow at Penn State University.